 A new report from the Oregon Center for Nursing provides insight into reasons behind high turnover rates among Oregon’s nurse faculty. The report, “Oregon’s Nurse Faculty: Why Are They Leaving?” is a follow up to faculty surveys conducted in 2009, 2011 and 2014. To conduct the study, Oregon Center for Nursing, with assistance from the Oregon State Board of Nursing, identified educators who had left one or more positions in the last three years. Individuals were contacted and asked to participate in a short survey to explain their reasons for leaving their positions. “Almost 3 out of 5 educators left their position with another job already in place,” said Bitton. “And most of those new jobs were not in nursing education.” Faculty cited many reasons for leaving their positions, but the most popular were issues with salary, unrealistic workload and lack of collegiality and appreciation. “Using this data, administrators can better identify solutions to encourage faculty to remain in their positions, and to recruit experienced nurses to become new faculty,” Bitton continued.